Over the years many of our players have gone on to excel in tennis, building on their initial training either at AOSLTC or through coaching given by the AOSLTC coaching team. This programme has a proven track record of producing players who are capable of performing and winning at the highest level both in county and out. The players listed below achieved a minimum ranking of 5 in the county. Martin was a former World No 1 Junior player and British No 3 who played in all the Grand Slams who, in addition to winning the Junior Wimbledon doubles, represented GB in the Davis Cup several times. Martin is the Manager of the Living Tennis Pro Academy based at the Bisham Abbey National Sports Centre. Keelan turned pro in 2010 and is steadily moving up the world rankings. For more information, please click on the link. Ben joined Angmering-on-Sea LTC when he was 8 years old. Originally Ben had a double handed backhand which he changed under Brian Lee's guidance when he was 11 to 12 years old. In 2010 Ben joined Win Tennis at The National Sports Centre at Bisham Abbey where he studied and trained at the International High Performance Centre. In 2015 Ben was ranked number 1702 in the world under the ITF Pro Ranking system. He is currently attending Drake University in Des Moines, IOWA where he is going into year 4 (Sept 2017) of an Environmental Science degree as part of a combined academic and tennis scholarship. Ben plays No. 2 in the top flight Drake Bulldogs team and is also studying an additional degree (minor) in Computer Science. Ben's favourite and most successful surface is artificial grass, which he obviously developed whilst growing up as a junior at Angmering. As a junior his highest ranking was 239 on the ITF circuit (2014) and he qualified for the June 2014 Wimbledon Juniors, completing the second of his two aims of playing at Wimbledon and going to a Division 1 US Collegiate team. Coached by Brian Lee, Performance Coach AOSLTC. Sussex County Team member and currently ranked 2 in the county on the Open age group and 108 nationally. One of 24 recently selected by the LTA to receive two weeks' specialist Clay Court training in Barcelona. Competes at British Tour and Junior National level. Coached by Brian lee since the age of 10, James is currently ranked No. 20 in the county in the Open age group and 721 nationally. Patrick was awarded the Splash Award 2015 for "Sporting Excellence" in recognition of his 'Tennis contribution in the County'. Patrick has been an active member of AOSLTC since he was 6 years old and has been coached solely by the Club's Performance Coach - Brian Lee. He is ranked 3 in Sussex in the Open age group, 714 nationally and is currently Men's Singles champion at the club. At present he is undertaking a BSc in Performance Coaching & Development at The University of Winchester and is a Level 2 coach. Alexia was a member of AOSLTC between the mid 1980’s and mid 1990’s and won 18 junior and senior club championships. She was taught tennis by Brian Lee, and then after university worked for Brian helping to coach beginners. Alexia is now a Level 3 coach at Carshalton Tennis Club where she also continues to play competitive tennis and has won a number of club championships. William Taunton, won the second stage of the Road to Wimbledon. Currently no. 2 in the county for 12&U and 9 in the 14&U. Evelyn Thoms Currently no. 2 in Sussex in the 12&U and 8 in the 14&U. Sofia Maine, winner in the 10u category, The Weald. Grade 3 tournament. April. Amber Sisman, runner up in the 10u category, The Weald. Grade 3 tournament. April. Sofia Maine, Runner up at West Worthing tournament and winner at Preston Park. Both in green ball 10 and under. Lucia and Olivia Maine, Pavilion and Avenue Red 8u mixed tournament. Lucia winner. Olivia runner up. Sienna Rolland, won the grade 5 9U girls tournament at Esher (26th March) and also came runner up at the West Worthing grade 4 9U girls tournament in February. Amber Sisman, Winner in Southampton 9 &U Girls grade 3 and runner up in 9&U Girls grade 4 in Sevenoaks. Winner of the 9U Girls Christmas Tournament.at the Bromley Tennis Centre in Kent on 28th December. Winner 9U Club Tour at Tripletts Tennis Club in Hayes, Middlesex. Amber is the only “Orange 1 Star rating” in Sussex. In the Tennis Sussex Winter League, the Ladies 1st team came top of L5W with the Ladies 5th coming second in L10W. In the Tennis Sussex League, the Ladies 1st team came top of their league. In the Tennis Sussex Veteran's league the Mxd. 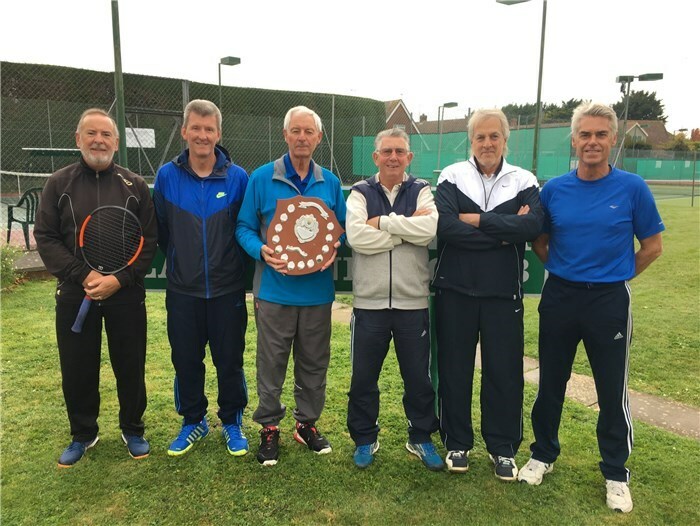 40/45 and the Men's 60 both came top of their leagues, the latter were unbeaten for the second year in succession. The club has a proven track record of ourJuniors becoming professionals. Currently the following former junior members are working in tennis. Steve Danes - became a junior member at the age of 7, was in the top 5 in the county at 16U and no.5 at 18U. Now Department Head, including Sport, at Sion School in Worthing. Was coached by Debbie Stewart. Oly O'Shea - joined AOSLTC at 5 years old. In 2011 he won, with Keelan Oakley, the West Worthing British Tour Doubles. Has since coached in the U.K., Australia and currently at the Hollyburn Country Club in Vancouver. In March 2014 Oly spent two weeks on Necker Island as personal coach to Richard Branson and his guests.